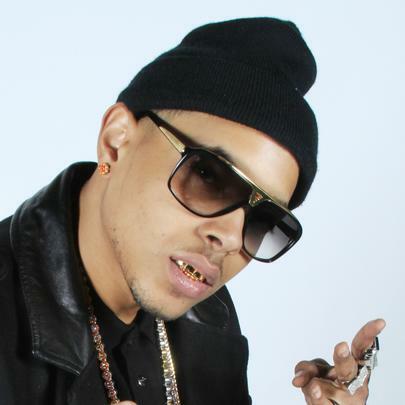 OJ Da Juiceman is an emerging Atlanta, Georgia emcee, active since 2003 who was closely affiliated with Gucci Mane's 1017 Brick Squad and Waka Flocka Flame's Brick Squad Monopoly until a recent rift in late 2013, his most recognizable singles being "I'm Gettin' Money" and "Make Tha Trap Say Aye". Since officially stepping foot in the game, he's released seven studio albums and a mixtape, having collaborated with Zaytoven, DJ Burn One, Peter Jackson, RiFF RAFF, Bun B, Chief Keef, Young Scooter, Chamillionaire, Wooh Da Kid, YG Hootie, Mistah F.A.B. and and many more, as well as those mentioned above. Stay tuned for updates on his burgeoning career. OJ was raised by his single mother in eastern Atlanta. He lived in the same Atlanta apartment building as Gucci Mane in the mid-to-late nineties. He got his start in the mid-2000s with Never Again Records. OJ Da Juiceman founded, owns and operates the 32 Entertainment imprint. He was shot eight times in April of 2008, an incident that's left him with a permanent limp. The Music Of Donald Glover's "Atlanta"